Performance of our celebrities in the Lok Sabha and Rajya Sabha till the end of Monsoon Session 2017 (till 11th August 2017). 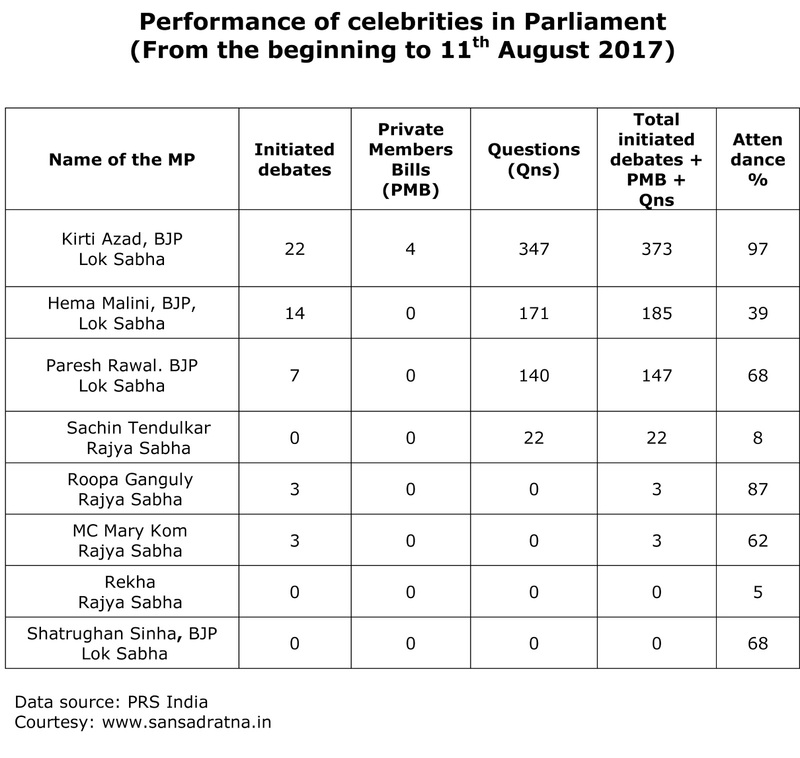 If the celebrities cannot perform in the Parliament, do we need to nominate them. The parties in power may nominate people who can contribute more to Parliament proceedings. Performance of various states, political parties will be posted here tomorrow. This is part of the article to be published in our August 2017 issue of ezine PreSense.